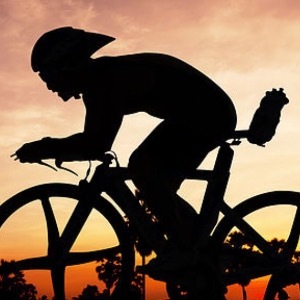 Expert Triathlon & Endurance Running Coaching. We have been helping Age-Group Triathletes & Runners of all abilities, achieve their goals across the entire spectrum of race distances, since 2012. Whether you opt for a single Metabolic Profile Assessment, Bespoke Training Plan, or wish to benefit from the unlimited support of our Coaching platform - the Tri-High Performance system is designed specifically for your individual physiology. No two athletes ever start from precisely the same fitness levels, with the same athletic performance history, same genetic potential, or susceptibility to injury and illness. No two athletes will ever respond to the same workout stimulus in exactly the same manner, or withstand the same total volume of work. We all have different nutritional needs, sleeping habits, and all recover from training stress at a different rate. Our lives around training and recovery are also so very individual, with different family relationships, life circumstances, work patterns and work stress. If our physical and mental responses to training are so unique - then the system we employ to get the best out of ourselves - must be flexible enough to cater for these variations. It is an appreciation for the complexity of individual needs - that is at the very heart of the Tri-High Performance System. If you want your engine to work faster, you must open the bonnet, and learn to train smarter. Amateur Triathlon no longer needs to be based upon educated guesswork for workout design. With our Virtual Metabolic Profiling system, we are now able to offer all of our coached athletes, concepts used by elite athletes at no additional cost. Success. Coach Peter Jeremiah has been notified of your message.